How has your summer been? We here at Eastbrook Construction have been enjoying all the great weather and all the events and outdoor activities around Metro Detroit. While we really don’t want to think about it, summer is almost over. August may be the last official month of summer, but we’re hoping for a warm September! Wanting to make the most out of the last month of summer we found some awesome events going on around Oakland and Livingston counties! We looked around Brighton, Howell, Fenton, Hartland, Highland to see what’s going on in August and after Labor day! We want to just jump into it, so let’s get going! 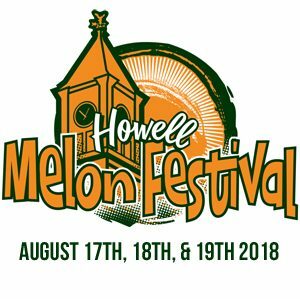 For over 55 years Howell has been the host of the Melon Festival, this event includes a marathon run, live music, kids activities, chalk art contest, and of course melons! Aug. 18th – Sept 30th in Holly Mi. The best part of fall? 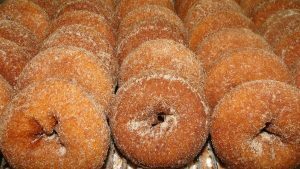 Orchards and cider mills! Fenton’s Spicer Orchards has a Harvest Festival that includes a corn maze, old-fashioned kids play area, train rides, and BBQ! If you like art, live music, and food this family-friendly event is for you. If you like Jazz, being outdoors, and live music this event is for you! No matter what you like to do outside of the house, make sure you’ve got what’s over your house covered. When your roof is leaking or needs to be replaced, contact Eastbrook construction for help! This entry was posted in Events and tagged brighton, Brighton roofing professionals, Events, Fenton, Fenton events, Fenton local roofer, Hartland, Highland, Howell, Howell Michigan, Howell roofing company, Livingston Counties, Michigan, North West Oakland. Bookmark the permalink.